The aging population and the increasing healthcare cost in hospitals are spurring the advent of remote health monitoring systems. Advances in physiological sensing devices and the emergence of reliable low-power wireless network technologies have enabled the design of remote health monitoring systems. The next generation Internet, commonly referred to as Internet of Things (IoT), depicts a world populated by devices that are able to sense, process and react via the Internet. Thus, we envision health monitoring systems that support Internet connection and use this connectivity to enable better and more reliable services. 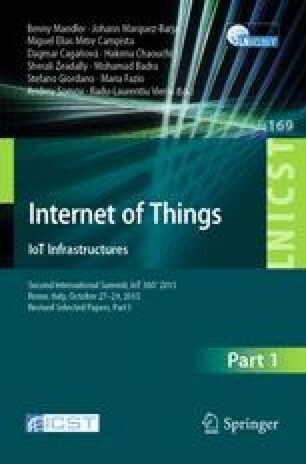 This paper presents an overview on existing health monitoring systems, considering the IoT vision. We focus on recent trends and the development of health monitoring systems in terms of: (1) health parameters and frameworks, (2) wireless communication, and (3) security issues. We also identify the main limitations, requirements and advantages within these systems. This work is funded by Knowledge Foundation’s research profile Embedded Sensor System for Health (ESS-H) and the distributed environment Ecare@Home.